The QUICK TURN NEXUS (QTN) 550 MY Multi-Tasking turning center with a large spindle bore packs the speed, power and precision that’s required for the heavy-duty machining of long, large workpieces, especially those produced for the energy and heavy equipment industries. 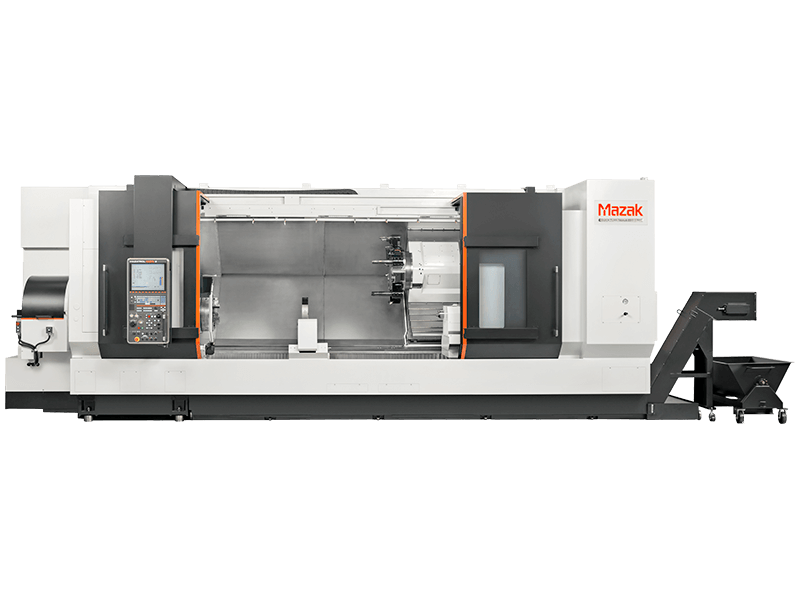 As an “MY” configuration, the machine features an upper turret with live tooling and a Y-axis to perform off-centerline milling, drilling and specialty threading operations in addition to its advanced turning capabilities. This Multi-Tasking functionality allows users to productively process parts in single setups, also known as DONE IN ONE® processing. Additionally, the QTN 550 MY pairs with an optional, highly unique tailstock design that combines a standard tailstock with a long boring bar (LBB) to achieve deep-hole boring depths of 46".